LemnaTec exclusively licensed the Growscreen Rhizo from Forschungszentrum Jülich. The Forschunszentrum Jülich Plant Sciences Institute exclusively licensed one of their latest developments in the field of plant phenotyping to LemnaTec GmbH. Frequently, roots are called the hidden half of the plant, but they are as important as shoot and leaves. Growscreen Rhizo makes roots visible by using soil-filled rhizoboxes with a transparent plate, where roots grow along. 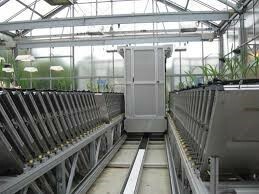 Using this cultivation concept, roots become accessible to imaging technology, while they keep contact to the soil. In combination with mechanical automation, we can acquire data from dozens or even hundreds of rhizoboxes in one experimental run and acquire images of roots and shoots. With licencing and commercialising Growscreen Rhizo, LemnaTec gives access to the hidden half of the plants to breeders, researchers, and developers worldwide.